Has Anyone Tried Kindle Scout? Amazon has a relatively new publishing program called Kindle Scout. It’s publishing, not self-publishing, but more accessible than other traditional publishing. And readers have a much more involved role. Authors submit complete, copy-edited manuscripts, and readers check out the covers, descriptions, first 3000 words, and bios. Readers vote on their favorites. It’s not strictly a popularity contest, as the book with the most votes is NOT guaranteed a publishing contract. However, it is important for authors to garner votes, as those votes are needed to get the attention of the Kindle Scout team. Maybe it’s to show them that the author has learned the basic marketing skills needed to attract readers. Once the book has the Kindle Scout team’s consideration, it must thrive on its own merit. But without their attention, it will just fizzle. Kindle Scout pays a $1500 advance and 50% royalties. It’s a better advance, but smaller royalty percentage, than self-publishing with KDP. However, it may help authors with exposure. If the book isn’t accepted, the author can still proceed to self-publish it (or submit it elsewhere). Kindle Scout is currently open to US authors in selected fiction genres. HAVE YOU TRIED KINDLE SCOUT? Read Tuesday began as an annual event like Black Friday. But it’s evolving. Reading is a year-round activity, not an annual event. 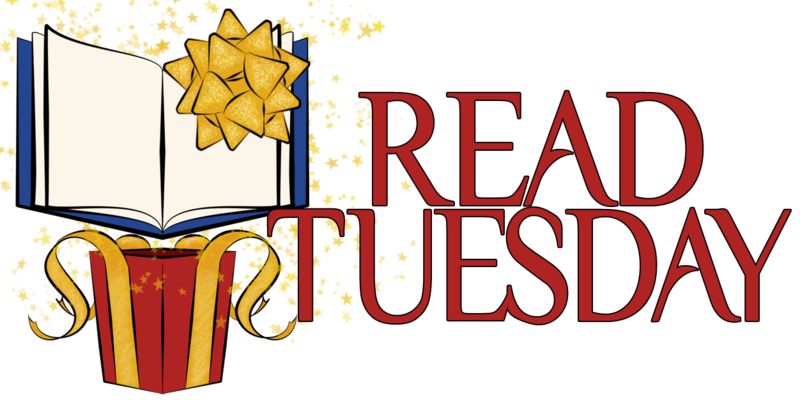 The spirit of Read Tuesday is to help readers find books, help authors find readers, encourage reading, and promote literacy. So we’re looking for ways to accomplish these goals throughout the year, rather than as an annual book promotion. We’re exploring other opportunities, besides simply promoting books that are on sale. If you’ve tried Kindle Scout, we’d like to hear about it. If you’re an author who currently has a book available on Kindle Scout, let us know. Leave a comment or use the Contact Us button on the Read Tuesday website. We’d like to announce authors who have samples available on Kindle Scout, and encourage readers to check out Kindle Scout and vote on their favorite books. 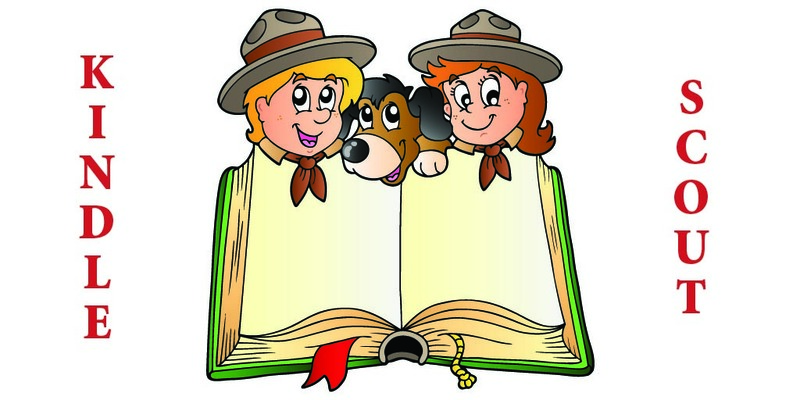 Readers have a chance to have a say in which books Kindle Scout chooses to publish. And readers who vote on titles that get published get to read the book for free (early). So there are rewards for readers to check those books out and vote on them. If you may be submitting to Kindle Scout in the future, let us know when you do. We’ll announce other opportunities to help readers or authors in the future. My book was one of the first books on Kindle Scout (RUNNING FROM THE PAST), and I was fortunate to land a contract! My experience with Amazon and Kindle Press has been great–easy to work with, and the other authors have been incredibly supportive. If you’re on the fence about submitting, I encourage you to give it a shot! I mean, why not? Thanks for sharing your experience – it’s good to know that you’ve been happy with it so far. My epic fantasy novel is up on the site right now (https://kindlescout.amazon.com/p/39NKUAPW0GOGE) and I’m wondering how much promotion you had to do to get nominations. I’ve put it on my social media sites and emailed friends and family, which has garnered me a “hot” status, but I’m leaving the country in 4 days (with 15 days left to go on the listing) so I have limited time to promote it. As far as promoting, I tried to spread out my efforts throughout the 30 days, aiming to stay on the Hot list. I used FB, Twitter, and LinkedIn, and I sent out a blast to my newsletter list. I’m lucky to have very supportive friends and family–they made it happen! Thanks, Alan! Good strategy. I don’t have much of a newsletter list so it’s a bit difficult for me. I’m doing what I can, though. Happy to answer any questions you or your blog readers might have! Thanks for sharing Elle! This site looks quite promising for a newbie, like me. I have not heard about Kindle Scout but this is useful info. for self-publishing. I haven’t heard about this before but I have to say I’m not sure If I will participate if and when it comes to my country. That’s fair. Kindle Scout hasn’t appealed to everyone. What has you concerned about it? I think my main concern is that I’m not sure what exactly I would be getting from Amazon. Sure the advance would be nice, but at 50% royalty rate that is less than I would be getting from KDP and other platforms. The amount or type of marketing is not really mentioned and there is no mention of cover work etc. I can’t see any mention of additional editing for chosen books, so all editing would have to be paid for by me before submitting. So I would do better to keep my rights and work on persuading people to buy my books. Sorry this turned out a bit long. I’m trying it out now. Here’s my entry – https://kindlescout.amazon.com/p/39NKUAPW0GOGE I’d appreciate whatever help you can give in nominating it. There are 19 days left to go … and I’m leaving in 4 days to walk a pilgrimage route in Spain so I’ll be web-less for a crucial period of time. Thanks so much, Chris! I so appreciate all that you do for the indie community. Some of my writer friends might find this avenue to publishing interesting. I’d never heard of it. Somemaid, we did get a very thorough copyedit, although I think most of the Kindle Press authors turned in pretty clean manuscripts. I decided that it was worth it to me to “give up” 20% royalties (70% KDP vs. 50% Kindle Scout) to get plugged into Amazon’s marketing engine. So far, I haven’t been disappointed! I just submitted my Civil War time travel “Love Me Forever” on Friday and it went up on Sunday, March 29th. My story is a romance–a big family saga — sister against sister during the Civil War and the men they love. I’ll let you know how it goes since it’s only been up a day. Civil War re-enactor photos (my heroine is a CW re-enactor who travels back in time to 1862 Antietam). Not sure what works as far as getting nominations…but I’m doing what I can. Will report back during the campaign…so glad to have found this blog!! I’ve enjoyed reading all the posts. I’d be happy to answer any questions — I’m both trad and indie-pubbed. Thank you for sharing the book that you submitted to Kindle Scout. Good luck with your book. 🙂 I hope you won’t mind if I mention it in my next post. Thank you, Chris!! My pleasure…and yes, I’m excited you want to mention my book. Thank you…questions, please ask. Wow. I’m totally considering this for my next book. I have a big enough network through Twitter, Facebook and many other sources (mainly blogging) and should be able to get my book to more people this way. Thank you so much for posting this! Interesting–lots of talk about this. What will Amazon come up with next? Possibilities are out there. Woo hoo.